Taken from by Anne Podlesak: "The indigenous people of the American Southwest had many different types of decoration for their pottery, but many utilized a light/dark combination of geometric motifs. We are fortunate enough to live near Tsankawi, a lesser known site that's part of Bandelier National Monument. If you walk along the paths at Tsankawi, you will almost always see broken shards of pottery along the way. This women's jacket is knit from the bottom hem up in pieces. 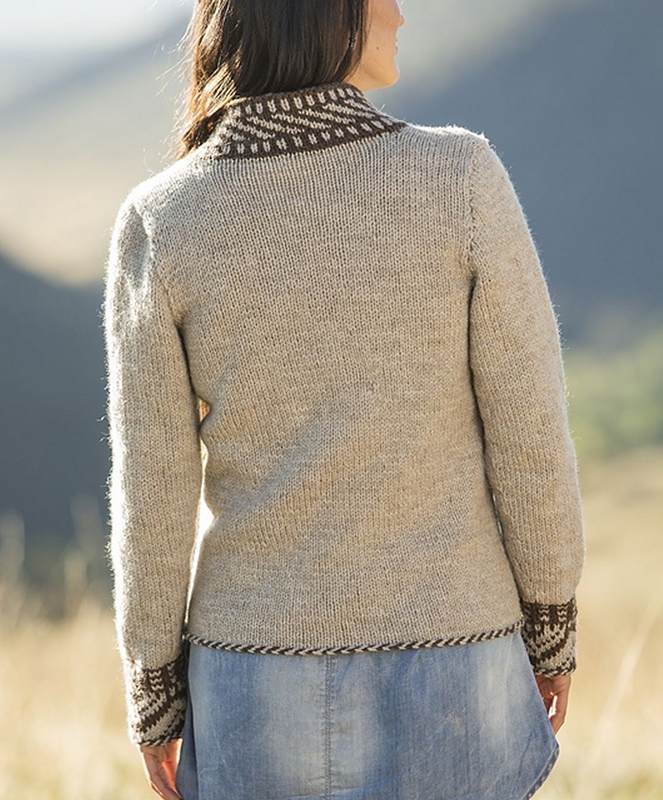 The body is worked back and forth in stockinette with set-in sleeves. The shawl collar and front bands are worked with geometric shapes in a contrasting color, using a stranded knitting technique. 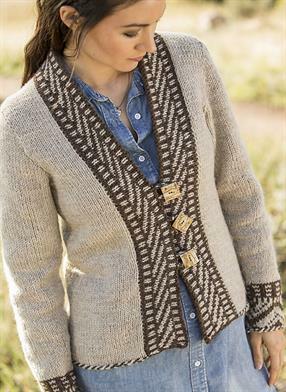 The front closes with large buttons and knitted I-cord loops." 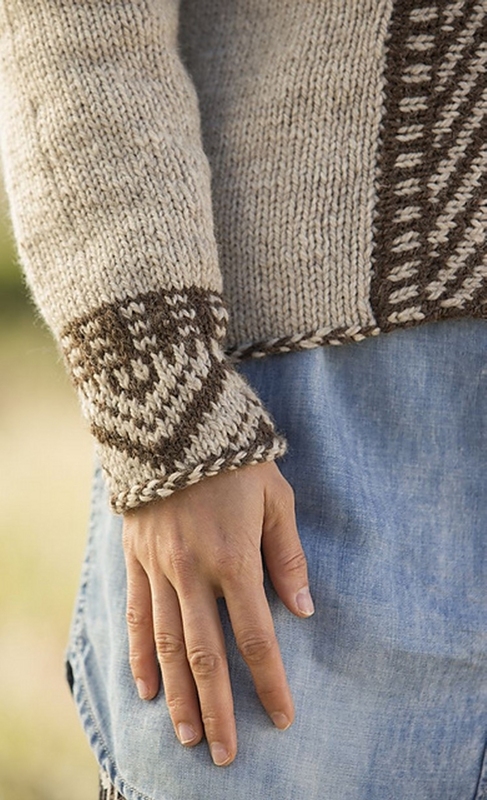 This pattern is from Free Spirit Knits, by Anne Podlesak. Size US 9-24", and size 9 DP needles (or size needed to obtain gauge), stitch markers, 5 stitch holders, three 1" buttons, and a yarn needle are required but not included. Finished Bust Measurements: 30 1/4 (32, 34 1/4, 35 3/4, 39 3/4, 43 1/2, 47 1/4)" after blocking. Gauge: 17 stitches and 26 rows = 4 inches in Stockinette Stitch, after blocking. Colors shown are #8015 Natural, and #8085 Mocha. Basix Fixed Circular Needles - US 9 (5.5mm) - 24"
$82.50 -- Kit price including yarn only (no book or pattern). If you like the Cascade Eco Wool Pottery Shard Jacket kit, then you may be interested in some other kits covered in our Fall and Winter collections.